The Sunbounce system consists of an aluminum frame that can be easily assembled and combined with different reflecting, light-reducing, or light-absorbing screens. 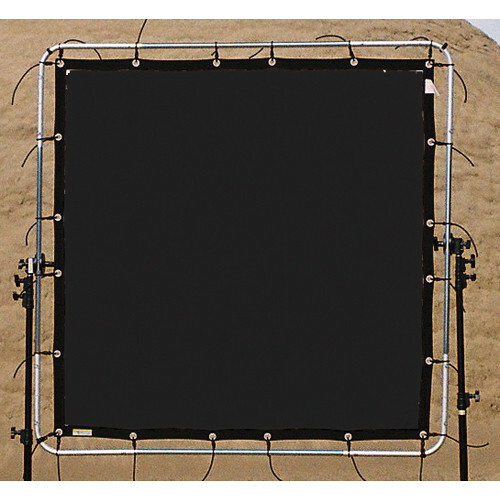 The Sun-Scrim Black Moulton Screen (8 x 8') from Sunbounce is a heavy black moulton screen for the 8 x 8' Sun-Scrim butterfly frame (not included) which completely blocks light. The frame holds the screen taut, ensuring consistent light modification. Optional bungee cords required for attaching the screen to the frame are available separately. Stands not included. Box Dimensions (LxWxH) 22.6 x 12.0 x 3.7"